I did not reconcile my accounts before filing my sales tax (didn't think to do this, now I know). I've now reconciled my accounts and found numerous errors that I force reconciled using the generated journal entry when doing the reconciling. My problem is, I need to credit the customer who paid these funds that were not documented correctly in the register. I have 7 journal entries documenting each transaction that was created when I reconciled. I originally had them checked as billable but I'm not billing the customer as they have already paid. I don't think that I can safely go back and just correct the original statement errors, because I've already filed the tax (both in QB and with REVC). This is in 2009. However I do have one that was 5 months ago and one that was 7 months ago and they continue back like that into 2009. What I'm trying to do, if it's even possible, is add these funds that are sitting in reconciliation discrepancies tab to the customers credit outstanding credits (they overpay and have a standing credit account). I've chosen the correct customer in the journal entry and it shows up when I check through all transactions under the customer in the customer center. I just don't know how to credit the customer these outstanding funds so it shows up in their credit account. I hope that you are able to follow this. I'm very new to QB and am trying to piece this puzzle together one at a time. The general rule I like to follow when using QuickBooks ... is to make correcting entries using the correct form so that all my reports work correctly. As you have numerous customer invoices to correct in prior periods, I would probably void the journal entries and issue a credit memo for the incorrect invoice. Then I would reissue the correct invoice ... this would all be done in your current period as I assume that each time you file a GST/HST return, you take a backup in case you get audited and close the accounting period. To apply the credits, go into the Receive Payments window. Select the invoice you want to apply the credit to. Check the "Apply Existing Credit" box and select the appropriate credit to apply. Does what I suggest help? Does it make sense? Did I understand your problem correctly Dallas? Thank you for posting a reply to my bookkeeping issue. I've tried doing the credit memo for the customer, but I can't because my customer is not listed under the items that show up in the credit memo's. I suppose I could include them in the list the shows up in the credit memos? I don't know if that would be viable. I can choose the proper customer at the top of the credit memo, but I'm not returning anything to them, thus none of the options that show up in the item list are usable. I could create a undeposited funds item to credit them with but I don't really know. My invoices are correct as they have been invoiced and paid for, so I can't go back and change them. My problem is: I have undeposited funds (customer receive payments) in my QB that are now sitting as a Journal Entry that were really deposited in my bank. I need to credit the customer these undeposited funds. What I'd like to see is the customers credit balance (from previous over-payments) reflect this undeposited amount of funds that are sitting in the journal entry. The journal entries show up in the customer log when I view all transactions in customer center. They don't, however show up as a credit to the customer. I originally had the GJE check-marked as billable but have realized that this is wrong because I'm not billing the customer, as they have already paid. Please let me know what you think and if this is clearer. I'm certain that their is a way to fix this, it's just going to take some fandangling. When you say "Customer Log", what exactly are you looking at in QuickBooks? Can you walk me through just one customer with the problem ... how the invoice was created, how the payment was recorded, how the bank deposit was made, why and when the general journal to the customer's account occured ... during the bank reconciliation? Can you tell me what shows up in the Open Invoice report for your customer? ... and is there a difference between the Customer Balance report and the Accounts Receivable report? I made a big mistake with my bank reconciliation. I hadn't reconciled for the whole year and when I finally got around to it my reconciliation for each month didn't match the bank's. So, I just let Quickbooks do the adjustment for each month so I could take care of it later. Now I have transactions that are in my reconciliation list that hasn't cleared in QB and I don't know what to do with them. I know this was the wrong way to reconcile ( I could kick myself for doing it this way). How do I handle those transactions in limbo. Also, what would happen if I accidentally deleted some checks that cleared the bank. How do I fix that? As you can see I've got issues. Help!! Hmmm, I'm thinking you are frustrated and not smiling ... and that you have a problem. 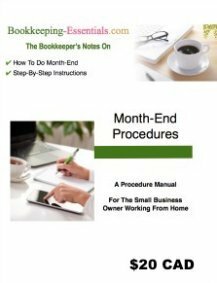 Basically, by letting QuickBooks book an adjustment each month so that your account "balanced" means you have NOT reconciled your bank account. I don't suppose you took a backup before you started "reconciling" so you can just restore your books and start again ... did you? That's the easy fix! If you are using a newer version of QuickBooks, I think you will find an account on your income statement called "Reconciliation Discrepancies" or something similar. This amount represents possible lost tax deductions to you. I don't know what to tell you except that you now have to manually reconcile your bank account month by month to clear the balance in this account. This Intuit QuickBooks Support article may help you as well, Undoing a previous reconciliation. I'm just not sure how many "undos" it allows. Deleting a reconciled item such a your cheque means you have changed the beginning balance of your next bank reconciliation. So for future reference, don't change or delete reconciled items. You can tell if an item was reconciled by the check mark in the "cleared" column of the account register. To correct this problem, take a look at the "Audit Trail" report or Voided/Deleted Transactions report found under Reports> Accountant & Taxes. Find your deleted transaction and reenter it. 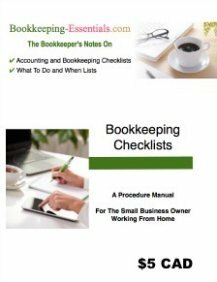 A good habit to get into is to close your books after each bank reconciliation is complete. You do this by using a QuickBooks password and closing date found under the "Company" menu. Katherine, it sounds like you could benefit by hiring a bookkeeper to come in and do your bank reconciliations for you each month. Think of it as being kind to yourself and your business.